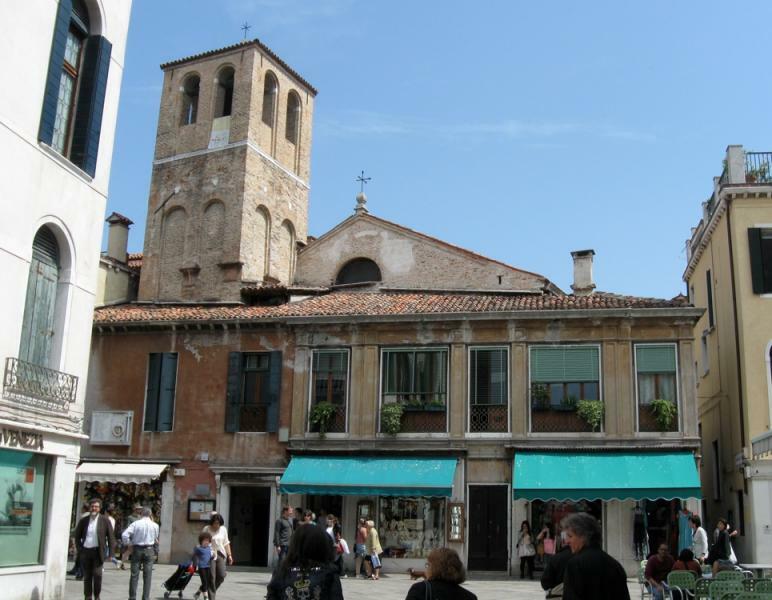 Most people walk along the Strada Nuova without noticing this church, said to have been founded back in 866. What stands today dates from the 17th century, with only a tiny bit of façade and bell tower visible over the houses and shops. Suppressed for a period, it lost its original art; today the main pieces are four statues of saints, brought here from the former church of the Servi, generally attributed to the workshop of Antonio Rizzo.